For the best experience, please view this page on tablet or desktop. Of all the innovations of man, it is hard to identify any one invention that has had more of a profound impact on our personal and professional lives. The origins and evolution of printing date back millennia, and yet we continue to innovate printing technology to this day. Join us as we explore a visual history from Quill to Cartridge. 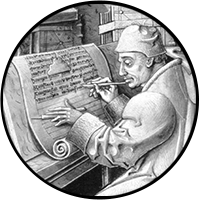 The printing press is invented in 1429 AD, helping to propel civilization toward an era of enlightenment. Recognized as the world’s first printed book, the Diamond Sutra Scroll was printed in China during the T’ang Dynasty (868 AD). The Sumerians are largely considered the first civilization to invent writing for the purpose of language. Clay tablets with Sumerian writing date back to 3200 BCE. The paper that we’re familiar with today spread from China via the Silk Road in 206 BCE. 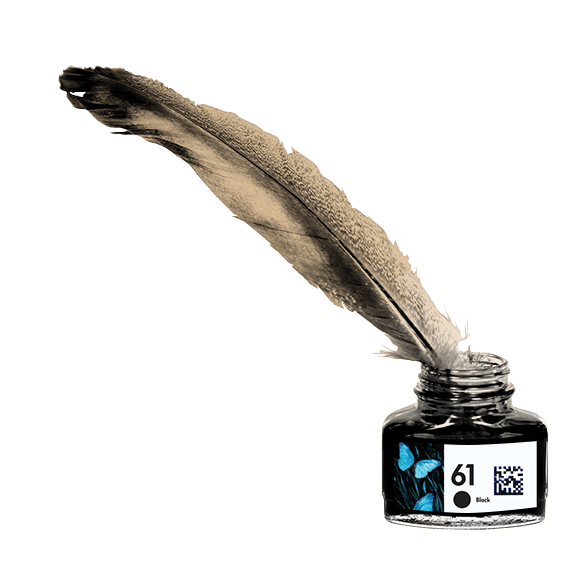 The history of ink is not exact, but can be traced back to approximately 2,500 BCE. Both the Egyptians and Chinese used inks made from fine particles, gums and/or glues. Before 1984, the prevailing method of printing utilized a technology called the dot matrix method. This method wasn’t very convenient or dependable. Fortunately, some very smart people invented inkjet printers and printer ink cartridges, revolutionizing the printing world. Today, it is the method of choice for printing black and white documents, as well as color graphics and photos. 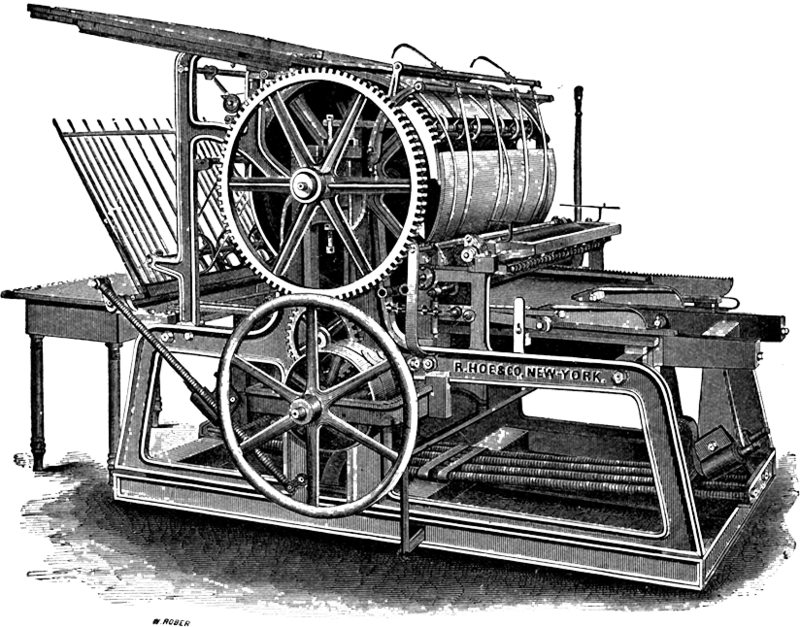 The need for speed drove the development of new printing technologies. Today, high speed single-pass printing dominates the fields of industrial printing where high productivity is required. The original printing press was a game changer. For the first time, books could be mass produced, allowing knowledge and education to spread among a freshly literate populace. But imagine if the original printing press had the speed of modern digital inkjet printing. Let’s compare by exploring the time required to print some of history’s most iconic literary works. One of the largest and most significant libraries of the ancient world. Using digital inkjet technology, the entire collection of scrolls from the Library of Alexandria could be printed in 100 hours from one printer. The first book to be produced in mass quantities. Using digital inkjet technology, all 180 copies of the Gutenburg Bible could be printed in 3.86 hours by a single printer. The oldest continuously published periodical in North America. Using digital inkjet technology, all 9,000 copies of the 1793 edition could be printed in just 7.2 hours by a single printer. The largest metropolitan newspaper in the United States. Using digital inkjet technology, the front page of the Sunday issue of the New York Times could be printed in just 23 hours by a single printer. A published collection of 36 of Shakespeare’s plays. Using digital inkjet technology, all copies of Shakespeare’s First Folio could be printed in just 10.8 hours by a single printer. The bestselling book series of all time. Using digital inkjet technology, all 500,000,000 copies of the Harry Potter books could be printed in 573 years by a single printer. The Social Media giant Twitter averages just over 500,000,000 tweets a day. Using digital inkjet technology, one day’s worth of tweets could be printed in 12.7 days by a single printer. The comic that featured the debut of Superman. Using digital inkjet technology, all copies of Action Comics #1 could be printed in 9.4 hours by a single printer. We've already begun to see where printing is heading. 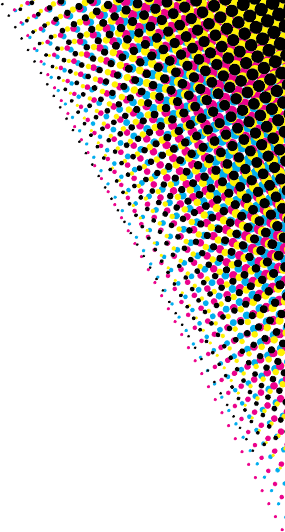 The future of print isn't going to be just data driven; it's already expanding into materials. 3D Printers are capable of recreating everything from circuit boards, to automobiles, to body parts. Additionally, new inkjet printing technology has allowed for electron-beam cured inks and uv-cured inks to reach a broad market. These inks have an almost instantaneous cure time and use significantly less energy than traditional printing methods that require heat to dry fresh ink. The high speed digital single-pass printers of today can already print 1,000 feet per minute and more. Remember how your parents used to tell you stories about how time-consuming the typewriter was? Just imagine what speeds of printing our children will see.